Foodies are here to stay and the Philippines is a great pool to dip into. 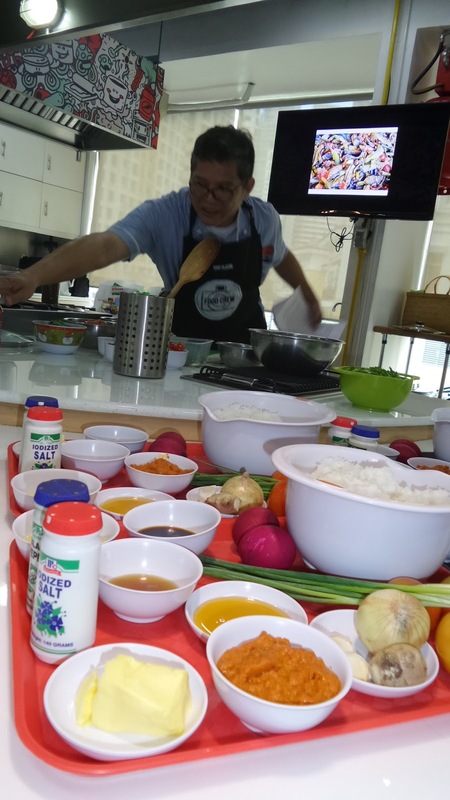 According to Chef Claude Tayag, many food trends have come and go, though some have still been gaining more interests. With this he added an up-and-coming trend, "snout to tail" also known as "nose to tail eating/cooking." 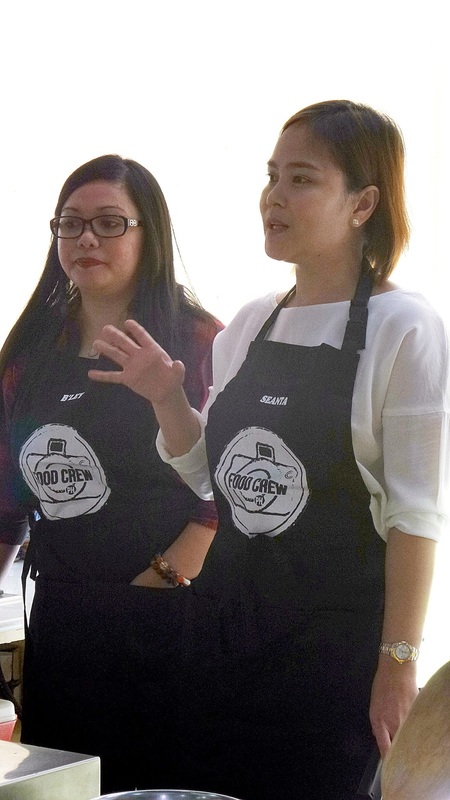 This news were shared to a select number of Instagram rockstars, food bloggers and social media influencers at the launch of Food Crew PH, held at The Cookery Place at the Kensington Place, BGC. 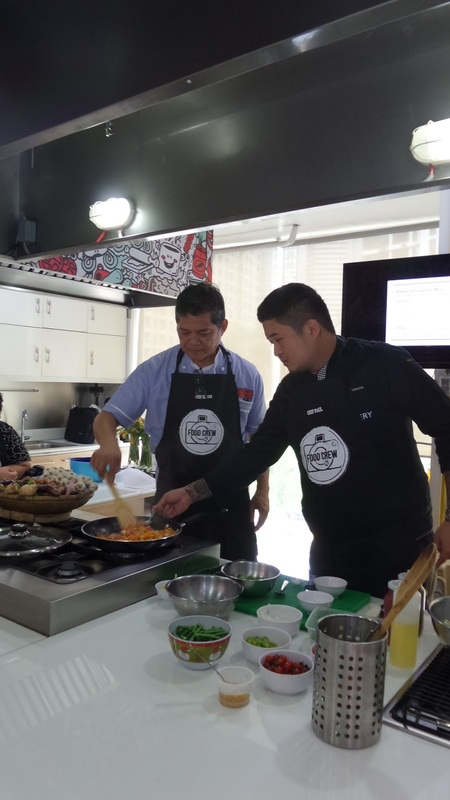 With the food industry burgeoning in the country via the government's food tourism campaigns, we can expect a more colorful community to celebrate this. Hence, Food Crew PH. 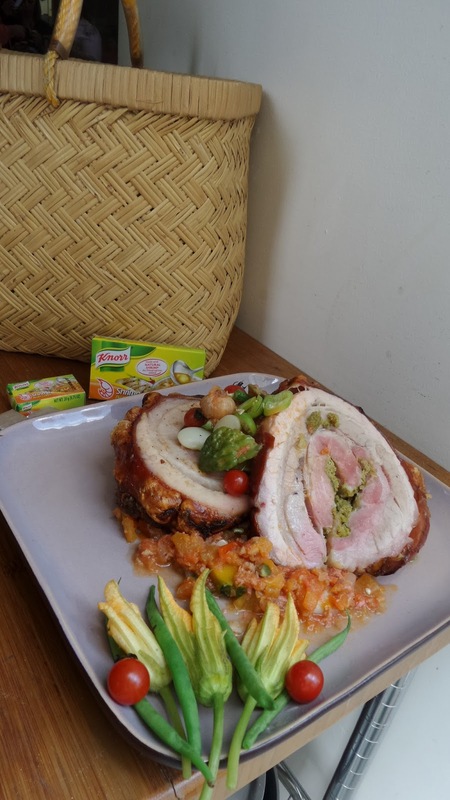 A collaboration between two foodies who loves taking good photos of their food, Seanta Reyes nd B'ley Villones, thought of setting up a network where they can gather foodies while getting in the boat products in the market that needed boosting. It's a community of food lovers, chefs, brands, food service providers, using the busy social media highway as the medium to bring them all together and encourage many others to come over board. What I love about this brilliant digital avenue is their goal in promoting the Philippines' culinary. 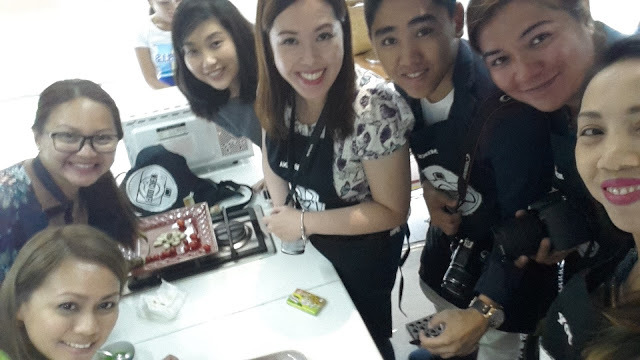 Food Crew PH is one of the key feature in their vision of setting up Food Network PH, where everything about food is celebrated. Such other key features are: Food Buzz (News, articles, events), Food Recipes (recipe resource), Food Resto (Directory, Menu and reviews), Food Market (E-commerce), Food 7107 (Food Tourism). The culinary scene is constantly changing in a global sense and more so here in the Philippines, with food culture and eating out becoming more than just sustenance but a new form of entertainment and a visual lust among Instagram users. The idea that a chef can bring in a whole animal—like a pig—butcher it down, cook dishes out of every cut, and essentially have no waste is not only more bang for the restaurant’s buck but a step in the right direction for today’s dining scene. 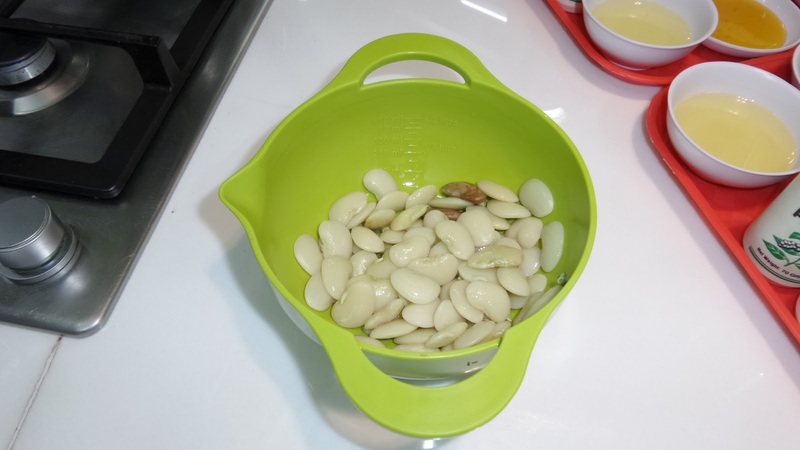 Less hands handle the product and it allows eaters to be exposed to a more sustainable way of eating. The end product will also taste far better. International chefs have suddenly adapted to this, but you see it's not new to us Filipinos. Our Lechon, Sisig, Papaitan, and even Dinuguan are now put on spotlight as gourmands try to appreciate them more. 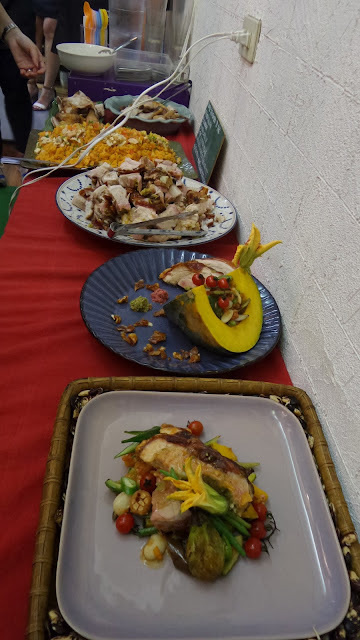 According to Chef Claude Tayag, author of Linamnam, owner of the famous private dining in Pampanga - Bale Dutung, this is the new trend in the food scene. More than timing, this year is going to be the perfect time t highlight our regional dishes that specializes in all the parts of the pig. 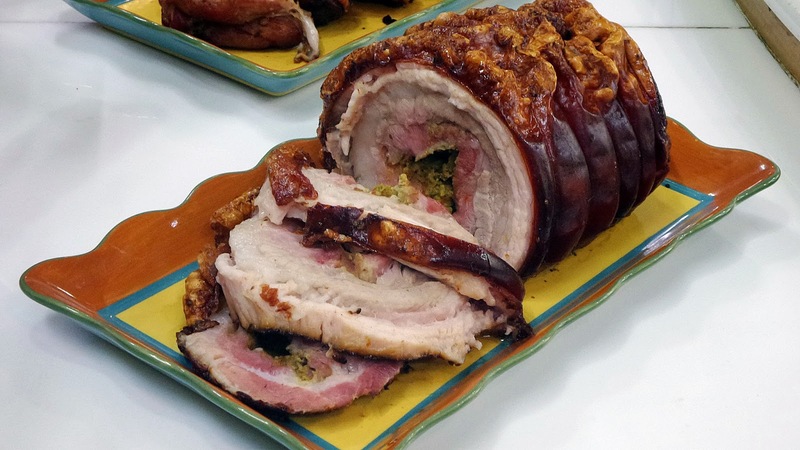 Alongside snout-to-tail gastronomy, is innovating our regional dishes. 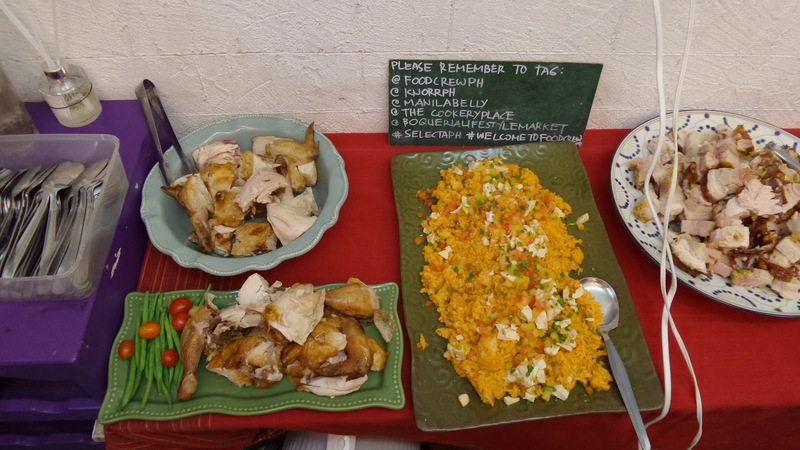 Filipino culinary is starting to gain momentum worldwide and it's bringing more tourists in our country/ We can owe it to Adobo and it's hundreds of versions but then more dishes are getting innovative reinventions. This time, Chef Claude have brought in a more dish that had been undermined for years, probably because it's healthier, haha. It's Pinakbet. 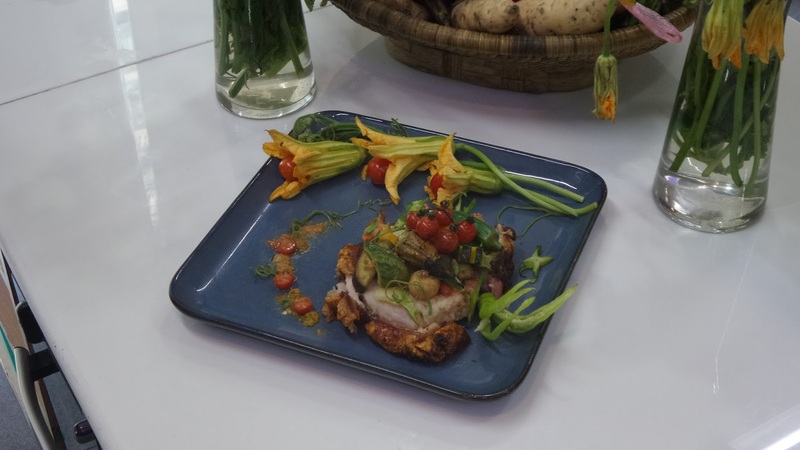 But to heighten up the raves for Filipino food, he pushed the idea of making the plate "Instagrammable" or "photo-worthy" in that way, you also make a visual presentation suggesting how delish a simple dish like Pinakbet can also be. So, aside form learning a gourmet version of Pinkabet, we also got our hands on plating. With the classic recipe, he initially made a sofrito for the basic sauce. This gives the glittery orang-y color to the plate. Sofrito is a basic preparation of tomatoes, garlic, oil, and onions that forms the base of many traditional Spanish dishes. 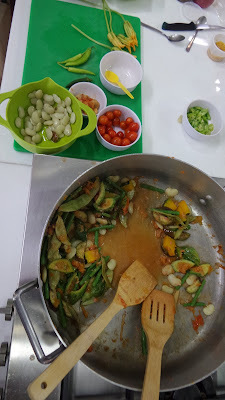 On the sofrito, he threw in heaps of bagoong isda, very Ilokano, that's what made it so unique. The whole group was divided into four. Together with Manila Belly's Crunchy Lechon Belly, we were supposed to plate the lechon belly with the Pinakbet Chef Claude cooked. Our group- composed of Yen Dreyfus of the tummytraveler.net, Rina Zamora of Rinasrainbow.com, Rowena Lim of Animetric.com, Eens Gonzalez of oureatdates.com, Good Eats PH and Vernise Tantuco of Rappler.com. Lined up on the buffet table were the different plating of the groups. 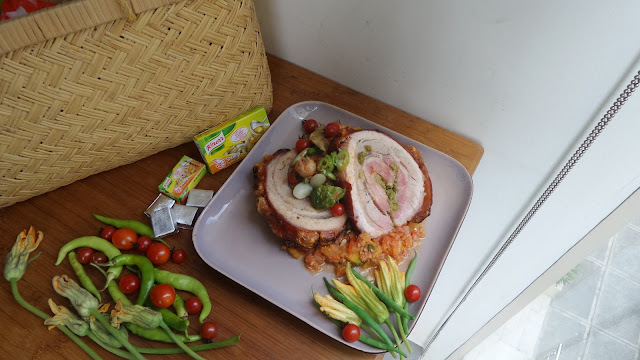 It was a really challenging matter, as one group takes home prizes from Knorr PH and everyone were very creative. Would you believe this is a plate of Pinakbet? After the demo and fun plating with the other guests, feasting came in next. With the Cookery Place' cooking-savvy environ and staff, our tummy were filled with more modified Filipino dishes. Thanks to Manila Belly for the wonderful pork belly and roast chicken. Definitely a must in every Filipino feast. 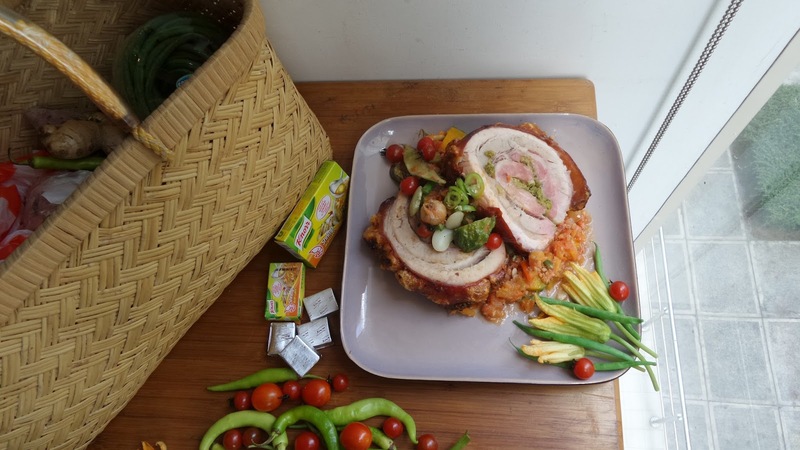 The Pinakbet rice went so well with the crunchy and savory gourmet pork. There's nothing so baffling of how food affects society, food and entertaining is big business because people love to get together to connect. By connecting, one needs a medium and Food Crew PH just nailed it! Thanks to their sponsors for making the event really successful and worth going to, Selecta, Knorr Philippines, Boqueria Lifestyle Market and Quaker Oats. For more updates on how to be part of Food Crew PH, kindly follow them at Instagram with their account, @Foodcrewph.